Caleigh Bird is a figurative artist living in Hawai’i whose blend of contemporary and classical realism serves to depict her modern subjects in true-to-life bold character, while still being rendered as carefully as the traditionally trained masters she has spent her life studying in the US and abroad. While primarily an oil painter, Caleigh is also known for her signature grayscale portraits in graphite and contè, as well as for creating weekly live model charcoal drawings on a colorful array of toned paper. One of the most important aspects of Caleigh’s work is her desire to help foster an inclusive atmosphere in the fine art world by portraying a culturally rich group of subjects. She believes that the modern art scene in general, from its exhibiting artists to its muses, should be ever more representational of all the unique citizens of this earth, so she uses her work to lovingly highlight the beauty and character in everyday people from all over the world. To hear about Caleigh's mission in her own words, read her Artist Statement here. Caleigh Bird was born in Toronto in 1984 and was brought up in historic Charleston, SC. Luckily, this contemporary figure and portrait artist was highly encouraged by her family her entire life and was always involved in extra-circular artistic endeavors since the moment she could sit up. Caleigh has been intensely studying traditional figurative techniques since she was a young teenager, as well as drawing from live models regularly, in an effort to portray her muses as the amazing works of art they already are in real life. Caleigh received her Bachelors Degree in Studio Art from the College Of Charleston then later received her Masters Degree in Studio Art at USC in Columbia, SC, all while soaking up as many art history classes as possible. Caleigh also spent time studying painting at the Istituto Michelangelo in Florence, Italy as well as Studio Escalier in Argenton-Chateau, France, and has peppered her entire life with both international and cross-country travels. In 2015 she relocated to O'ahu, Hawai'i and is currently finding new inspiration in the lush landscapes and vivid palette of the tropics, as well as in the culturally diverse population. 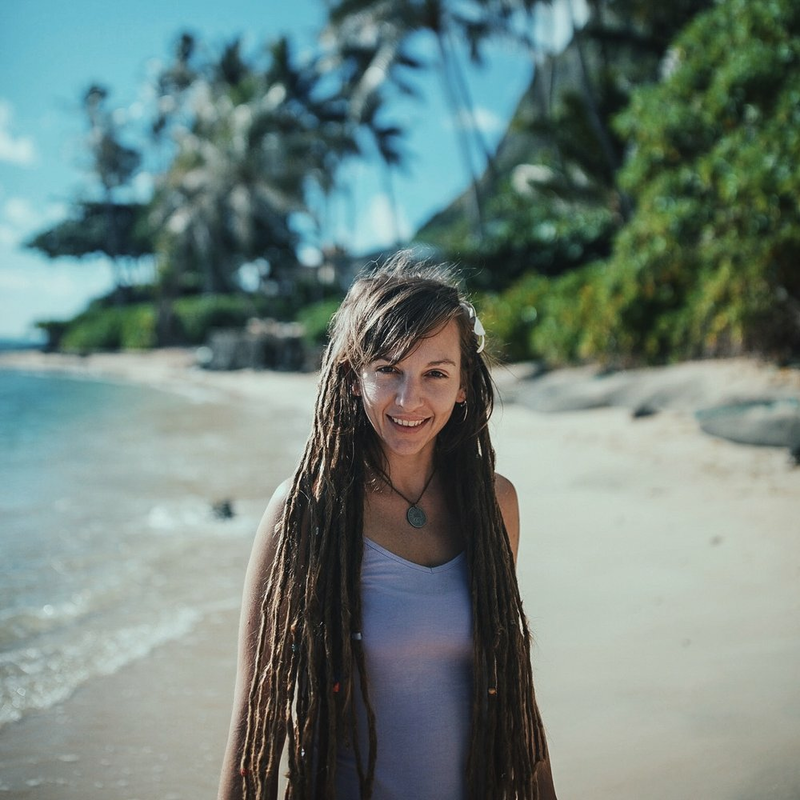 When not behind her easel, Caleigh can be found dancing with her hula hoop, hiking ancient volcanic mountains, snorkeling with rainbow-scaled fish, and scooping out the last little bit of a fresh coconut. Check out the Artist Blog for plenty of art demos, diary entries, adventures, and behind-the-scenes studio visits.